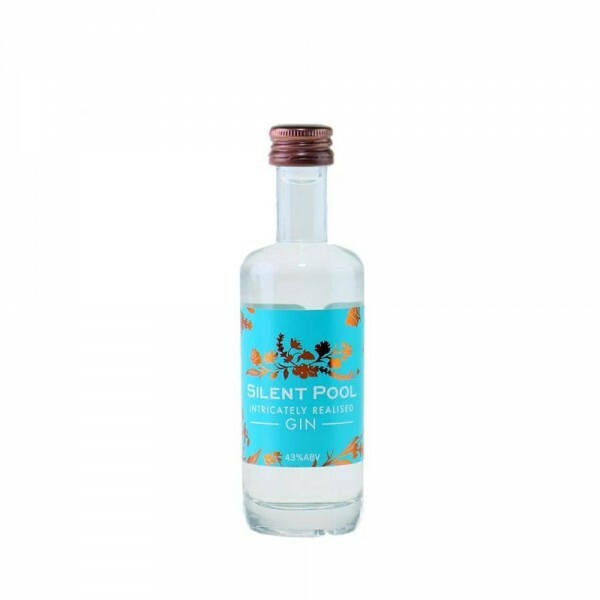 Silent Pool Gin is produced on the Albury Estate in the Surrey Hills and named after the eponymous spring-fed lake near to the estate. This juniper-driven gin is a classic gin at heart - full-bodied and fresh, with depth, clarity, and above all else flavour. It features 24 locally-sourced botanicals, including kaffir lime, chamomile, local honey and lavender, among others. The result is a very clean, subtly sweet and intricately-balanced tipple with lavender, chamomile and juniper on the nose and a long-lasting, dry finish. Perfect with premium tonics. Now available in a 5cl bottle.